• Physics: build wisely or your structures will collapse! • Unique water simulation with rain, infiltration, underground rivers and lakes. 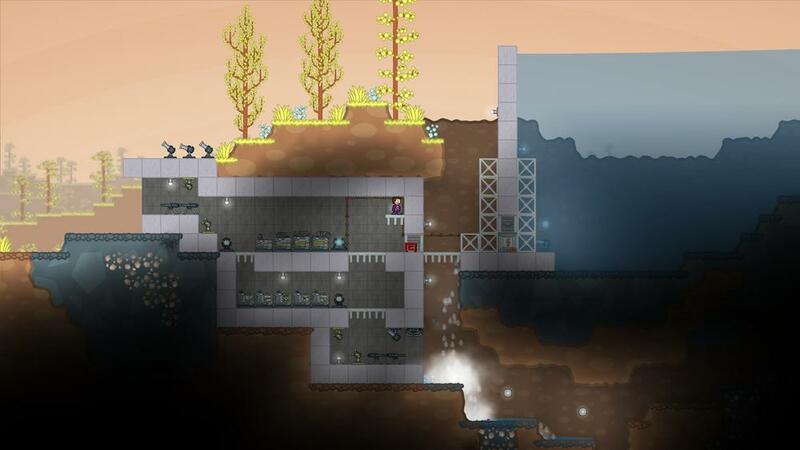 And you can build a functional hydroelectric dam to power your base! And also a final goal to pursue, sci-fi items and monsters (no flying clowns or wooden sword! ), a unique progression mechanism, and some very fast mining as there is so much more to do!